As more people worldwide use texting to stay in touch and more companies use SMS messaging to market to customers, many are being left behind in the technological dust. If a mobile phone with a text messaging feature isn’t in hand, the silence can be deafening. This is no longer the case thanks to ipipi.com. Our service enables you to surprise someone with a text message right away – no matter where in the world they are. Send worldwide – Our service lets you text message worldwide whether you have a mobile phone or not. Send messages from your phone – Even if you do not have a service that offers texting, you can send from your phone. If your provider or package doesn’t allow for international texting, we can help you bypass this obstacle without costing an arm and leg in the process. 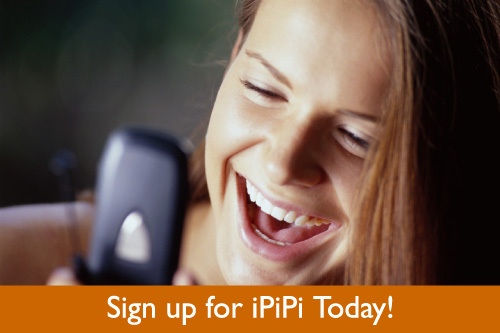 Save a great deal of money – When you use ipipi.com for texting, you stand to save a small fortune. Our service lets you text anywhere in the world for a single, flat per-message charge that applies no matter where the recipient happens to be. Forget the tiny keypad – Mobile phone keypads are a nightmare to type on. You can leave this worry completely behind when you use ipipi.com. Our service lets you enjoy texting from your computer, which means you can use a real keyboard to type. Send multiple messages – We understand that time is a precious commodity. To help you save some, our service lets you send out multiple SMS messages at once. You can also target multiple recipients with the same message. When you send text messages from ipipi.com, your messages will arrive in seconds, cost you less and let your friends reply. Global – Our service is truly able to reach any country on the planet. Affordable – When you use our texting service, you will save money over long-distance calls and enable yourself to reach friends, family and business associates anywhere at any time. Easy to use – Our interface was designed with client convenience in mind. It is highly user friendly and a breeze to navigate. Backed with excellent service – Most SMS messages sent with ipipi.com arrive in seconds and our customer service department is also known for its extreme expediency. Flexible – Our customers can configure their accounts to meet their own texting needs. No mobile phone is required! If you’re ready to enjoy the power of texting, forget the phone! Just fire up your computer and sign up for an account with ipipi.com today. We’ll even let you try our service for no charge.